When many people think of the birthstone for June they think of pearl. However, many people don’t realize that June is a month with two traditional birthstones, Pearl and Alexandrite. Alexandrite is a beautiful color changing variety of Chrysoberyl. Alexandrite is also the gem for the 55th wedding anniversary. Often referred to as “emerald by day, ruby by night”, because of it’s unusual color changing properties. It was first discovered in the 1830s in Russia’s Ural Mountains. Alexandrite is a highly prized gemstone and until recently it was very rare. In recent times new sources in Brazil and Tanzania have made this gemstone more commonly available in the market. 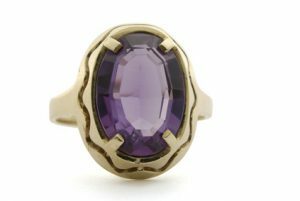 If you are looking for an alternative to peals as a birthstone for June, you may want to give Alexandrite a try. Stop in to Amoskeag Jewelers today and we can help you find the perfect birthstone for any month of the year.